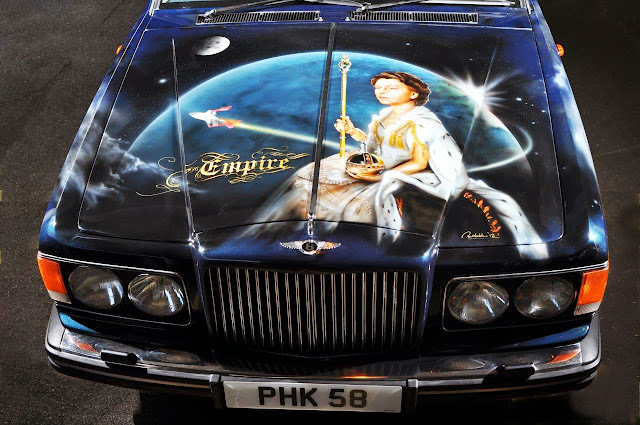 Speedmonkey: Is This "Empire" Bentley Brilliant Or Tacky? Is This "Empire" Bentley Brilliant Or Tacky? 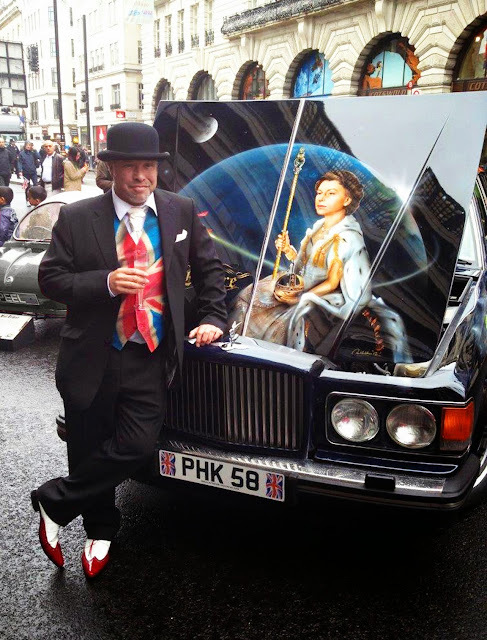 This 1990 Bentley Mulsanne S has been airbrushed by its artist owner Paul Karslake, with various scenes representing Britishness. 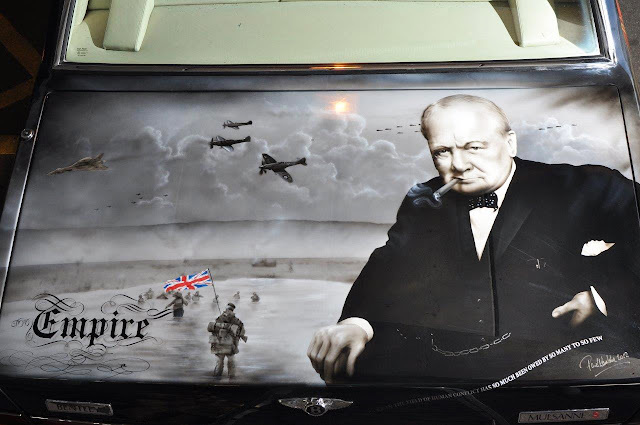 The car includes portraits of HM Queen Elizabeth II, Nelson, Wellington and Sir Winston Churchill. 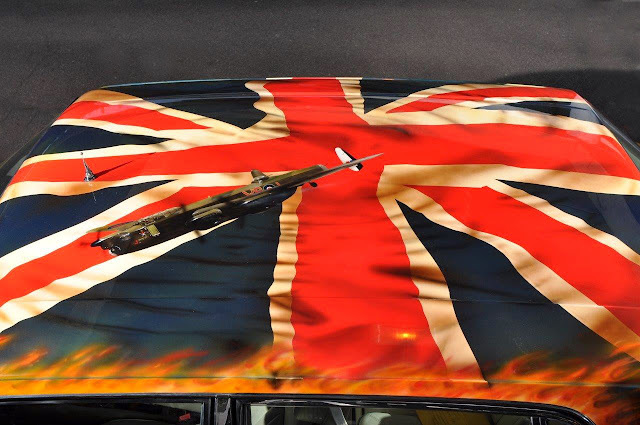 It also carries scenes from the Battle of Britain, the Falklands War, Waterloo and Trafalgar. The owner is selling his Bentley at the forthcoming 'Historics' auction at Mercedes-Benz world on 30 November. He hopes to get £10,000 for it. It would certainly make for a spectacle on the annual British pilgrimage to the 24 Hours of Le Mans, if you could get it through the French customs, who might say: "Swines britanniques effrontés, permet de les soumettre à une fouille complète de la cavité"
What do you think of the 'Empire' Bentley, brilliantly British or tacky as hell?